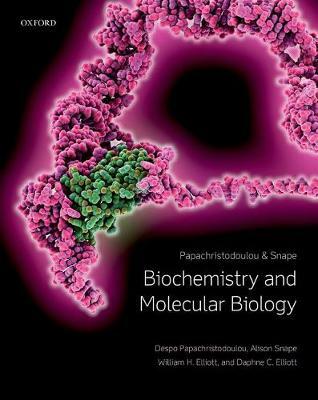 Now in its sixth edition, Biochemistry and Molecular Biology provides the perfect balance between detail and conceptual understanding. Maintaining the much-praised clarity of previous editions, this edition incorporates both new techniques and pivotal discoveries in a succinct, easy-to-digest way, using updated figures and diagrams to help explain complex processes. Updated content on the manipulation of DNA and genes reflects the rapid introduction of new methods in contemporary research, and incorporates up-to-date discussions of recent developments such as gene editing. Chapter summaries are logically laid out, forming bulleted lists which provide students with a consolidation of difficult concepts and progressively guide them through the specifics whilst keeping the big picture in mind. Additional 'Find Out More' sections provide helpful problem-solving support and the further reading is divided into types to cater for broader learning needs. With an integrated approach covering both biochemistry and molecular biology, complemented by frequent diagrams and clear explanations, and all presented in a wider cellular context, this text is the perfect introduction for any student new to the subject.New to This Edition:A restructured opening section which enhances understanding of core introductory principles, with greater coverage of basic concepts such as chemical bonding and more worked examples of numerical problemsUpdated content on manipulating DNA and genes, incorporating gene editing and other recent developments in the fieldEntirely updated figures and diagrams which are easier to interpret and help explain complex processesRedesigned summary sections which form bulleted lists, providing a consolidation of difficult conceptsReworked end of chapter questions and additional reading to include more guidance for students and lecturers about their useAn extended selection of online resources with additional Multiple Choice Questions for each chapter.This title is available as an eBook. Please contact your Learning Resource Consultant for more information.